The Co-op Academies Trust has appointed Chris Tomlinson, Regional Director (Secondary), for Harris Federation as its new Chief Executive Officer. Chris will take up the position with the Co-op, which is in the midst of a major expansion programme, before the incumbent Frank Norris steps down in the summer. 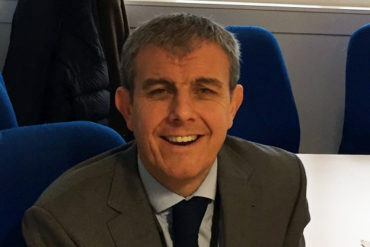 For the last seventeen years, he has been leading both Secondary and Primary schools as a Headteacher, Executive Headteacher and Regional Director in Inner and Outer London. The four schools – Harris Chafford Hundred, Harris Greenwich Harris, St John’s Wood and Harris Battersea where Chris has spent the majority of his time as a Headteacher/Executive Headteacher are all now Outstanding in every category, consistently achieving Progress 8 scores of over 0.5 and sometimes over 1. In April the Co-op announced that it would put a further £3.6m into its academies programme to kick-start the next growth phase which would see the number of schools increase from 12 to 40 in the next three years. It currently controls 18 academies across West Yorkshire, Greater Manchester, Merseyside and North Staffordshire. Russell Gill, Chair of the Co-op Academies Trust, said: “Chris brings a wealth of experience to the role and I am sure he will lead us through our next phase which will be one of rapid change.